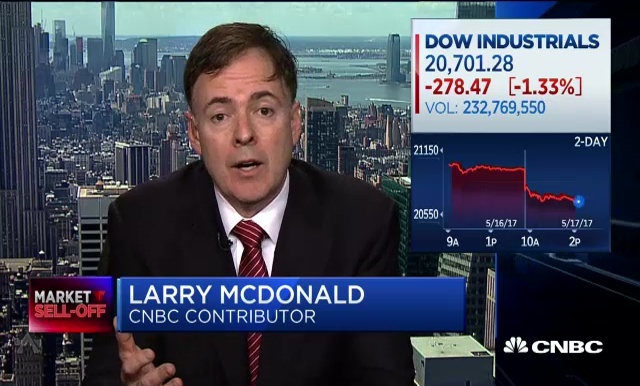 Jack Ablin, BMO Private Bank, and Larry McDonald of THE BEAR TRAPS REPORT, weigh in on how the turmoil in D.C. could impact the stock market. 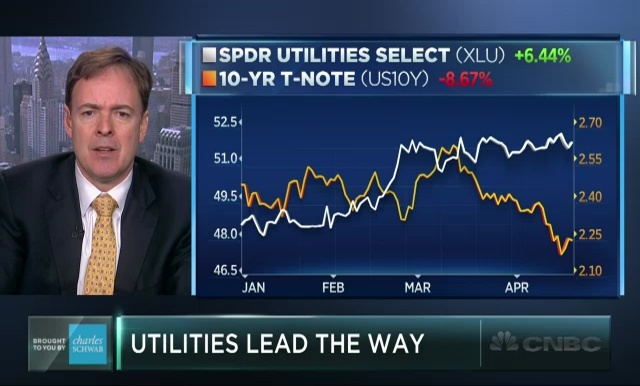 Utilities have been on top so far this year, just as they were in 2016. Larry McDonald of THE BEAR TRAPS REPORT and David Seaburg of Cowen & Co. discuss with Brian Sullivan. 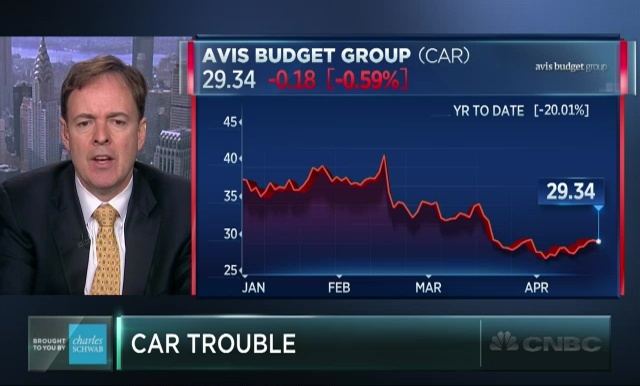 Avis and Hertz are getting hit hard by the decline in used car prices. Larry McDonald of THE BEAR TRAPS REPORT and David Seaburg of Cowen & Co. discuss with Brian Sullivan. 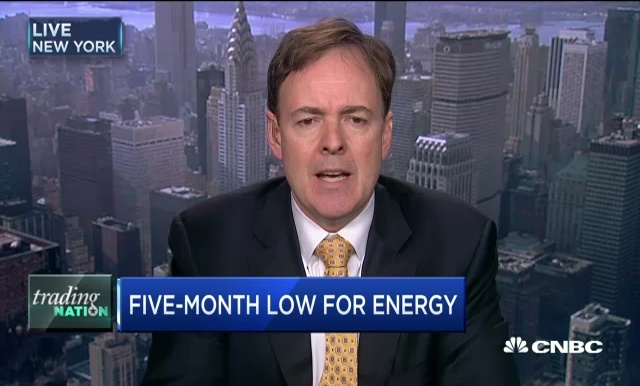 David Seaburg, Cowen & Co. and Larry McDonald of THE BEAR TRAPS REPORT, discuss the moves in oil and the XLE Energy ETF with Brian Sullivan. 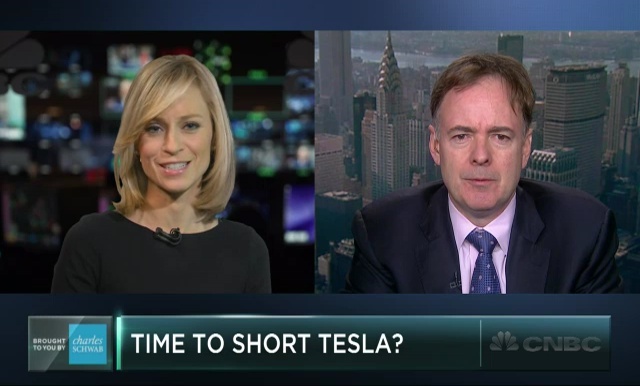 Larry McDonald of THE BEAR TRAPS REPORT isn’t so hot on the electric automaker. He discusses with Courtney Reagan.